The flip side dinner theater. 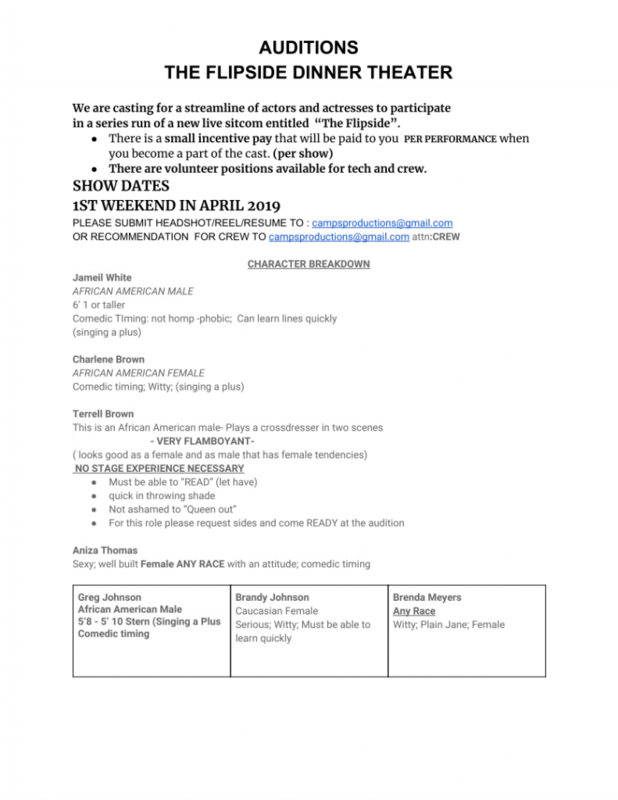 We are looking for actors to participate in an ongoing series called the flip side which would be held in the aspect of dinner theater. The price we pay is $50 per show.